Spring is officially here, and it’s a perfect time to take a good look at your exterior concrete work – especially those of you in areas that experience dramatic fluctuations in temperature; hot summers, cold winters, lots of freeze-thaw opportunity. The kind of things that can put your driveways, patios, and walkways at risk for concrete related issues such as cracking and spalling. 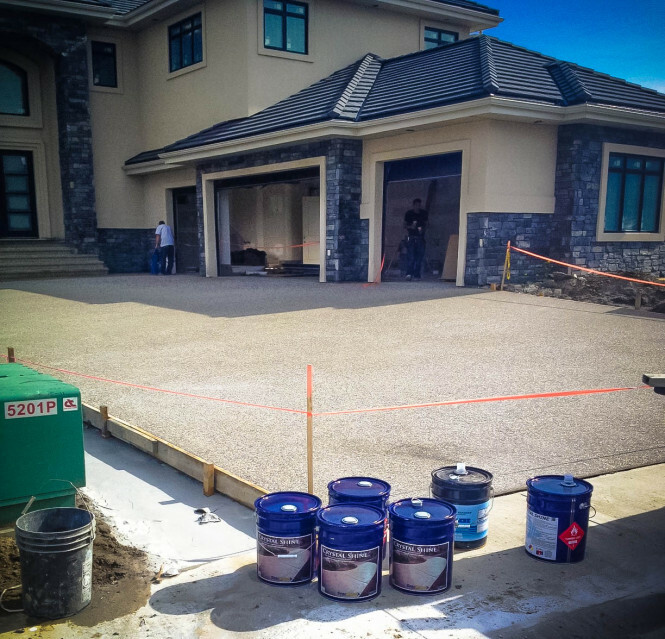 Properly sealing your concrete is critical to extending the life of your concrete, protecting your investment and offering lasting protection and beautification. There are a number of considerations to account for when applying membrane forming sealers. And it all starts with surface preparation. 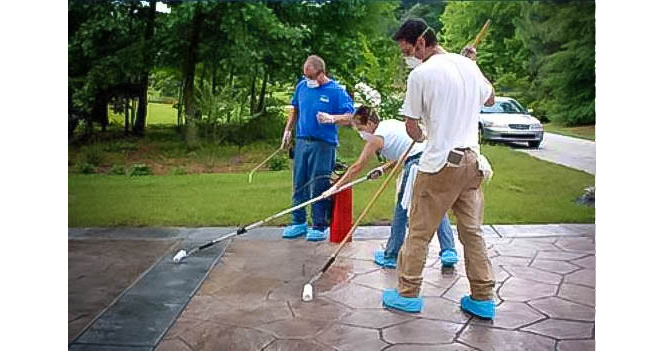 First, all concrete surfaces to be sealed must be properly cleaned. For existing concrete, consider SpecChem’s line of cleaning products. Something like Orange Peel – a natural citrus solvent based cleaner and degreaser, or Berry Clean – the SCAQMD, California and Virginia VOC compliant equivalent – is an ideal solution to ensuring a contaminant free surface. Soaps and detergents should not be used to clean concrete surfaces prior to sealer application. Detergents are emulsions and if allowed to dry on a surface, they form a barrier that can inhibit the adhesion of most acrylic sealers. Sealers may be applied with a pump-up sprayer or solvent resistant short nap roller. If roller applied, do not roll too quickly to avoid whipping air bubbles into the sealer or use an application pad. For more detailed info on avoiding air bubbles, visit our SpecTech on Sealer Application. Clean sprayer immediately following application with SpecChem Solvent 100 or SpecChem Xylene. Test the sealer in an inconspicuous area for desired appearance and to assure proper adhesion. Sealer should be applied in a very thin and uniform manner. Back roll or wipe out any puddles immediately. Over application will result in a mottled appearance, could trap moisture, and will not allow sealer to cure properly. If at any time the sealer puddles or is over-applied, immediately spray SpecChem Solvent 100 or SpecChem Xylene on top of the sealer to keep liquid and brush out excess to allow the sealer to properly cure. Two thin coats will produce a harder film and a better gloss than one heavy coat. Cross apply to ensure even application. Apply one direction and then apply in a perpendicular, 90-degree direction. What type of sealer is right for your project? How often should I seal/reseal my concrete surface? Concrete surfaces throughout the country are subjected to very differing extremes when it comes to weather. Contact a SpecChem professional in your area for a solution specific to your individual sealing project and requirements. Whether you have new or existing concrete, nothing protects your investment in, protects and extends the life of, and works to beautify your concrete surfaces like proper application of the right sealing compound.